Metal gods collide on June 12th as indigo at The O2 plays host to the 15th annual Metal Hammer Golden God Awards, in association with Orange Amplification. The event attracts greats from the rock and metal industry and fans from across the world. 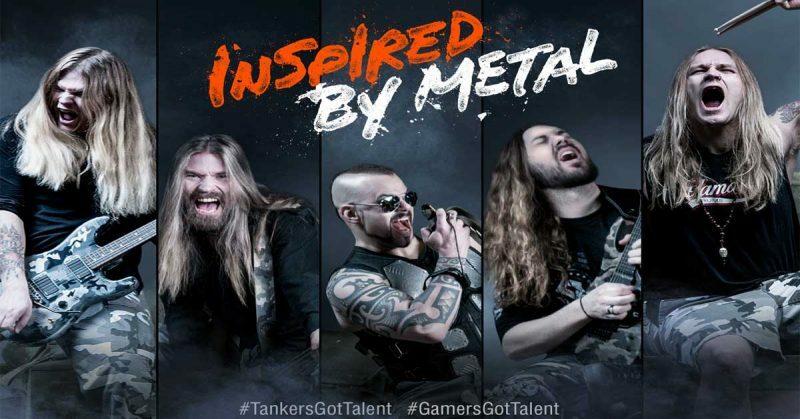 So, it’s natural that Wargaming and World of Tanks are involved, which marks the beginning of a long-term collaboration between the game and the heavy-metal band Sabaton. For Wargaming and its millions of players, the combination of history and epic music is a huge part of their gaming scene. Not only is Sabaton a big influence for fans of the game, but the band themselves love playing World of Tanks when they have some free time between shows. It just goes to show that this kind of united inspiration brings a massively diverse bunch of people together to share their passion…and blow stuff up. This year won’t be Sabaton’s first tour of the Metal Hammer Golden God Awards. In 2011, the band won the Breakthrough Band Award. They were nominated for another award in 2012, which was sponsored by Wargaming. Having also performed in 2012, it only seems right that on the 15th anniversary of the event Sabaton returns! Fans of Wargaming and Sabaton can expect some cool surprises on the way, so you’d better stay tuned for more information. And, of course, rock on.